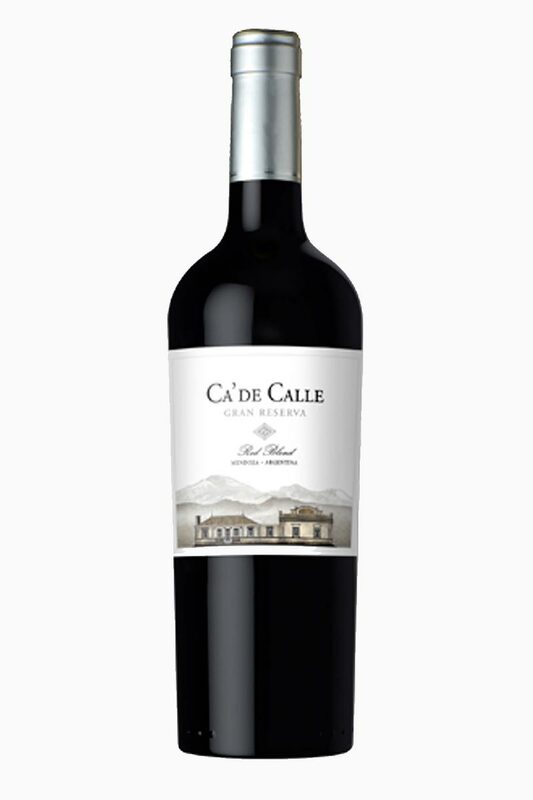 Our aim for this wine is to combine the different facets of Mendoza's great appellations in a standalone bottling. For this vintage, we sourced fruit from the best old vine sources in Lujan and some of the best cool climate fruit in Uco Valley, particularly Altamira and San Carlos. This is a very hand made wine from vineyard to cellar. All of the fruit is farmed without use of pesticides or herbicides. Weeds are hand hoed. Then at harvest, fruit is hand picked, hand sorted, made with gravity flow and fermented with native yeasts. It is then 100% cellared in fine French and American oak barrels of 1st, 2nd and 3rd use in our underground cellar for 12 months. As we taste every barrel, we decide our best lots and an assemblage is made using those best lots. We focus on quality over blend consistency or volume. So each vintage's blend can case quantity can be completely different every year. Ca' de Calle means, "House of Calle" in dedication to our founder, Elvira Calle. Elaboration: Hand harvested from top parcels of organically farmed grapes. Carefully sorted. Cellar work using gravity flow. All lots kept separate until final blend is determined. Aged 12 months in French oak barrels. Dark purple color. Forward nose of toasty plums, black cherry, and lilac flowers. On the palate the wine is rich and full, with layers of berry flavors and a hint of bittersweet chocolate. Finishes soft with balanced acidity. 2013 - Decanter, "Highly Recommended"